My father, Garry Busse passed away from Pancreatic Cancer May 15, 2014, following a 5 month battle with the disease. Dad was a very generous and loving person, who always put others ahead of himself. Even as sick as he became, it was never about him, it was always about looking after his friends and family. Cancer did not rob Dad of his enthusiastic energy and the will to live life to the fullest. It did not stop Dad from gathering friends to tell stories and jokes, volunteer at church, play cribbage or a game of poker. Cancer certainly did not steal Dad's loving and polite nature, nor his sweet tooth (he sought out candy and sweet rolls to the very end). Garry's legacy was to live life to the fullest, assist those in need and always start with a smile and end with a laugh. Dad was excited about the Purple Ride/Stride event when I enrolled for the 5K run in January of 2014. Dad said with enthusiasm he would join me. 2018 is the fifth year I will run in honor of Dad. 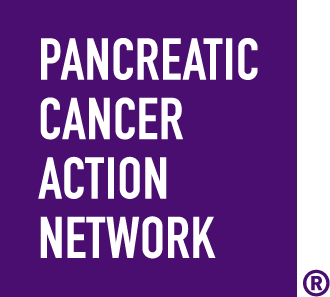 Dad will be there in spirit as we come together in purple to honor Dad's memory and support a charity who provides such selfless generosity and priceless resources to those challenged with Pancreatic Cancer. Join us and Join Team Garry! To donate to my page, just click "Give Now" on the right-hand side of this page.